Pineapples come from the tropical plant family called the Ananas Comosus. The plant consists of multiple coalesced berries on usual basis which are cultivated through crown cutting of the fruit. Pineapples take a considerable amount of time to mature as the process starts with 5-10 months of flowering and with the further six months of fruiting. Pineapple gets its name from the pine cones which it resembles a lot in appearance. The name apple is attached because of its watery, coalesced fruit body and a very sweet taste. The plant that produces the fruit belongs to the Bromeliaceae family and it is without a doubt the most culturally, commercially, and financially significant out of all the other plants and fruits. 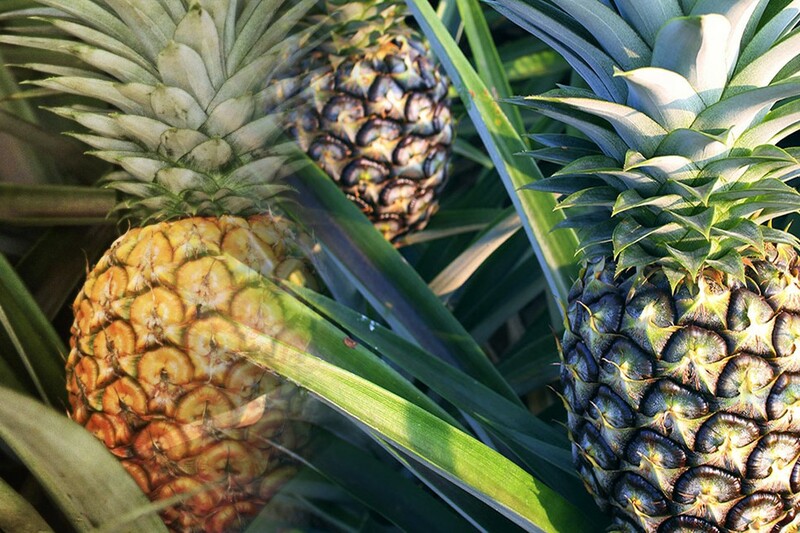 Like many other fruits and plants, pineapples are also mostly found in the Asian part of the world. 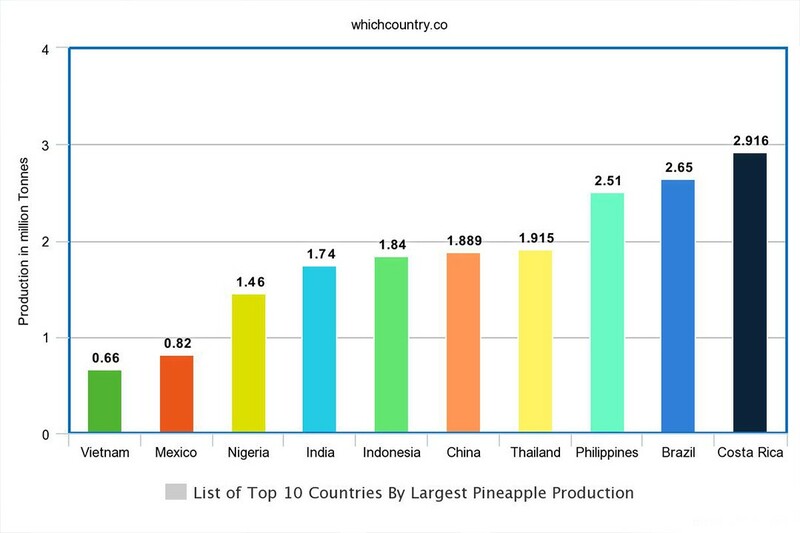 Five out of the top 10 pineapple producing countries are from Asia. However, being a tropical fruit, the production of pineapple is spread throughout all the tropical regions in the world which include the African forests, Amazonian rain-forest and North American tropical regions. That is why North America has two countries, Costa Rica and Mexico, in the list where Costa Rica is actually the largest producer of pineapple in the world. For all the produce that comes from China, pineapple is the one thing they can’t produce the most because of the lack of tropical regions. It is still an acceptable 5th on the list. Two countries, Ghana and Nigeria, are from Africa at the bottom of the top 10 list. South America has Brazil which is the second largest producer of pineapple because of the abundance of tropical regions. 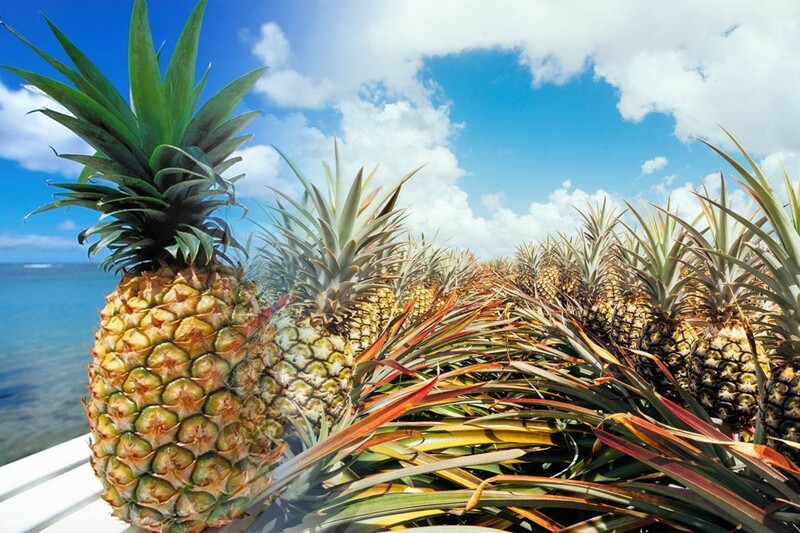 It is of note that Europe has no country in the top 10 pineapple producing countries in the world list. Note: The figures are rounded off and also subject to change. For centuries, pineapples have been attributed to helping with digestion, providing crucial antioxidants for the body and acting as an anti-inflammatory agent as well. Pineapples were also heralded for their reduced healing time as well. Even though pineapples are great source of sweetness, you will be surprised to find out that a cup full of pineapples only has 82 calories. These fruits not only help in diets but are also helpful during weight loss regimens. One pineapple contains around half of the daily recommended Vitamin C intake which boosts the immune system. Aging process is linked to muscular degeneration. Even though aging is inevitable, use of pineapples daily can reduce the muscular and cellular degeneration. Pineapples not only reduce the risk of cancer but diabetes as well. The antioxidants present in pineapple are also linked with increased libido and fertility. Due to its high fiber and potassium content, pineapples not only help with digestion but also improve the cardiac health of a heart patient.